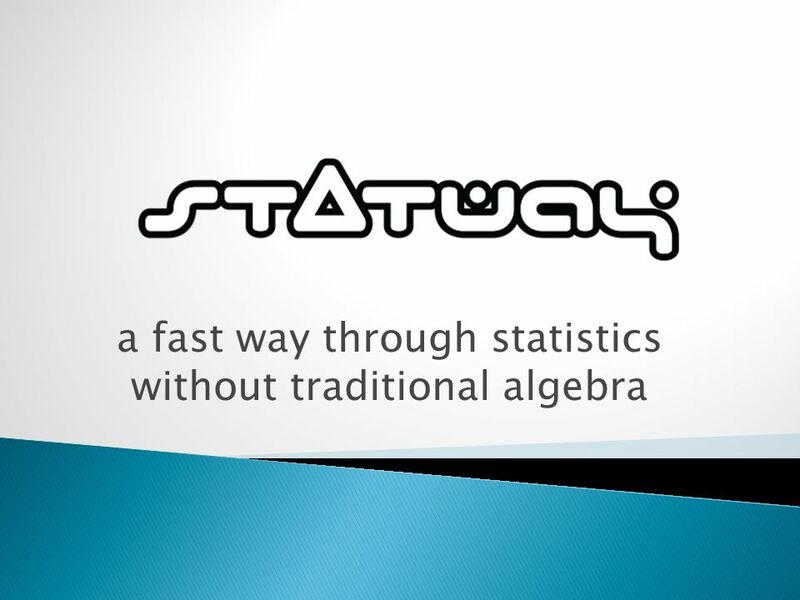 A fast way through statistics without traditional algebra. 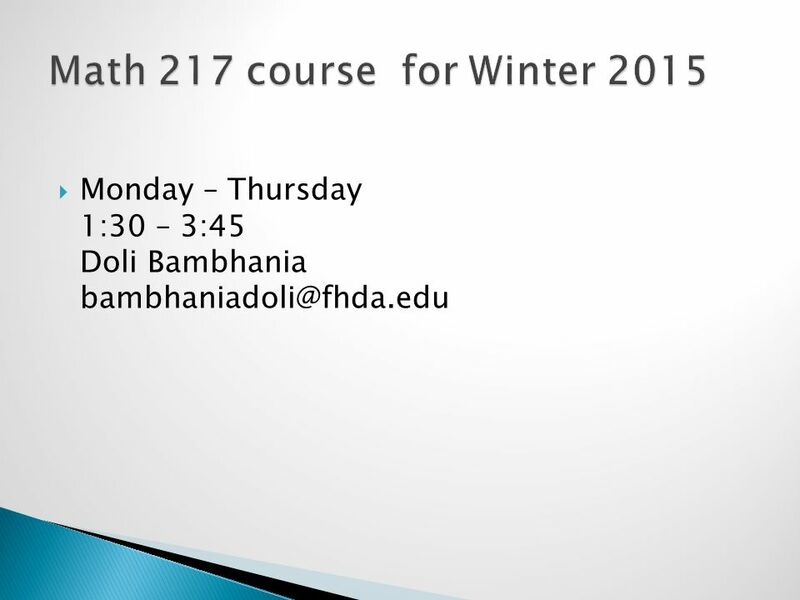 2  Do you plan to take Math 212 in Winter 2015? 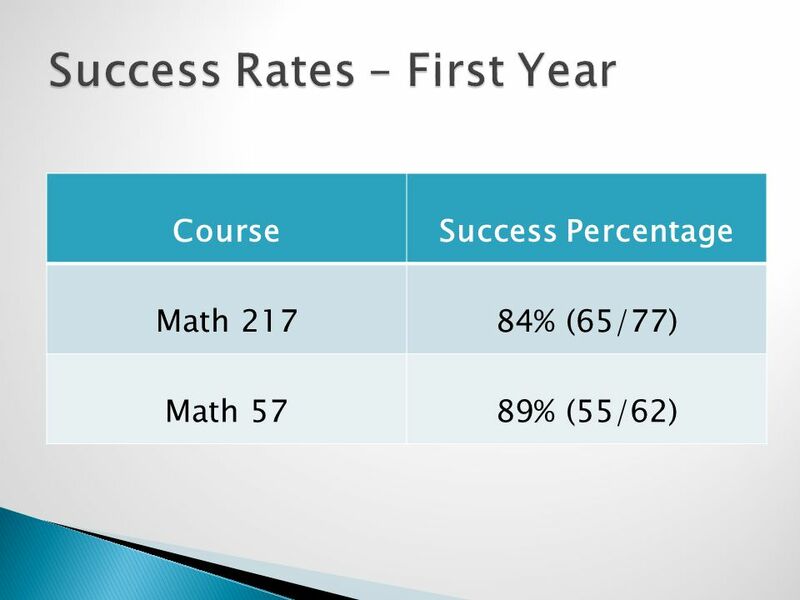  Do you plan to take Statistics?  Do you plan to transfer to CSU? 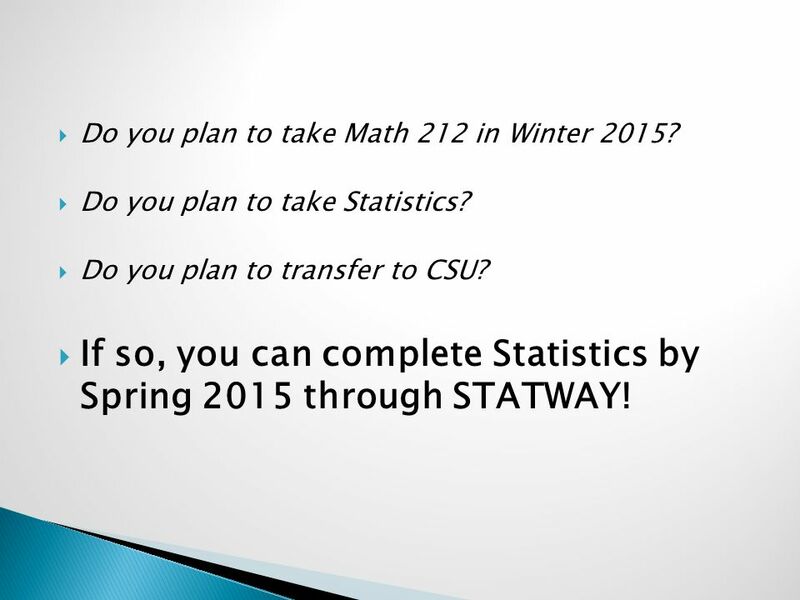  If so, you can complete Statistics by Spring 2015 through STATWAY! 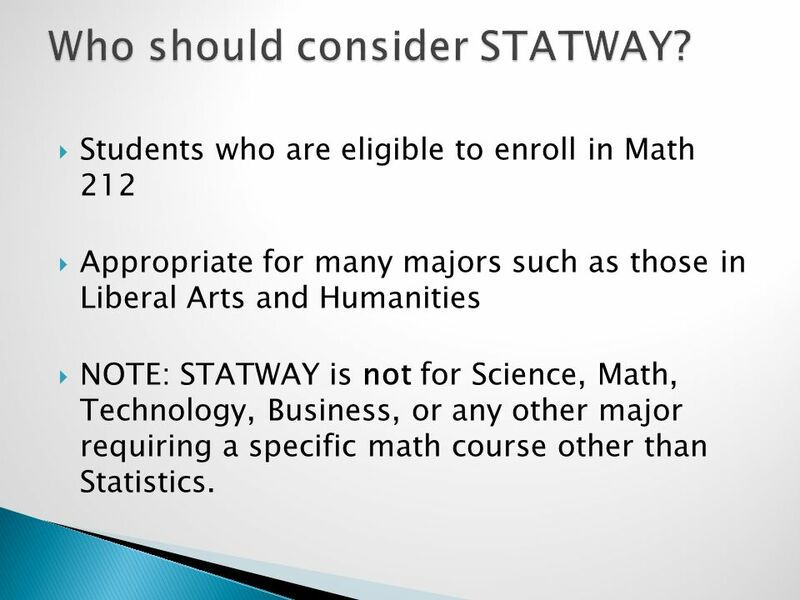 5  Students who are eligible to enroll in Math 212  Appropriate for many majors such as those in Liberal Arts and Humanities  NOTE: STATWAY is not for Science, Math, Technology, Business, or any other major requiring a specific math course other than Statistics. 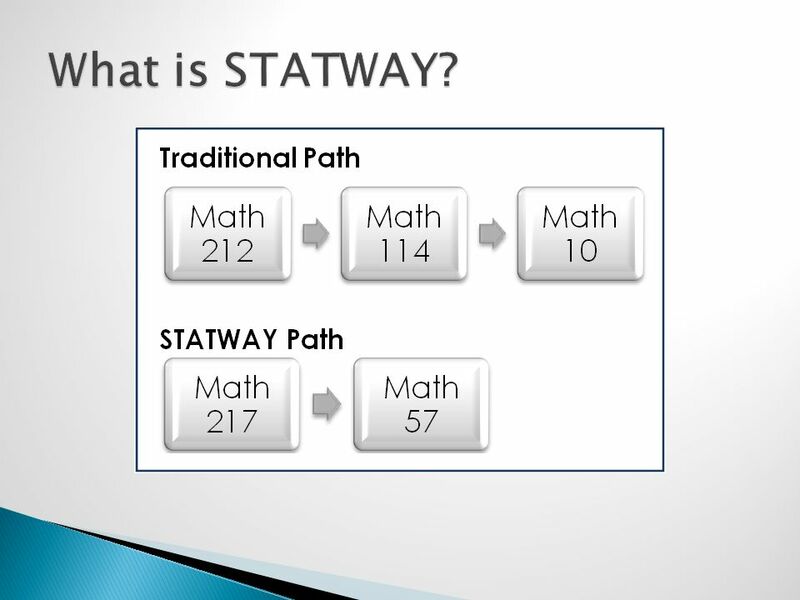 Download ppt "A fast way through statistics without traditional algebra." 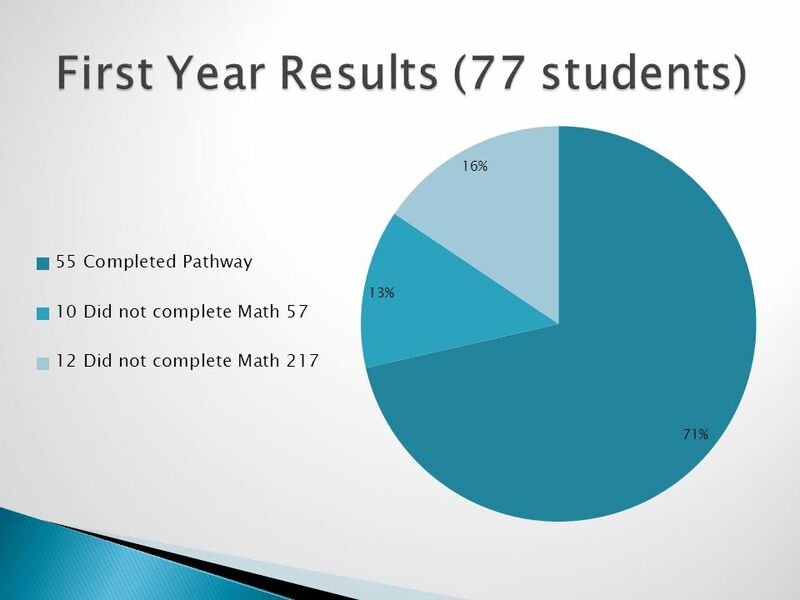 EOG Testing Grades 3-6 *Reading *Math *Grade 5 Science. Preparing Educators for Tomorrow. P.E.T. Council John Wink, Facilitator Charlotte Parramore, Hallsville ISD Deputy Superintendent Andrea Mayo, Longview. 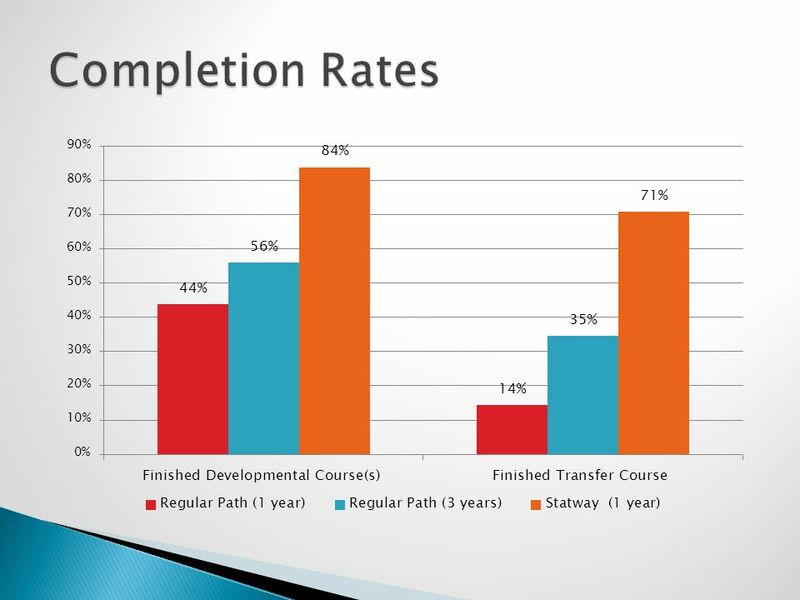 April 24, Overview of dual credit and AP Dual credit student eligibility Fees/tuition and payment process Fringe Benefits of dual credit Transferring. Joliet Junior College websites: www3.jjc.edu/staff/szuro William Rainey Harper J. Stanley Brown. Electronic Systems Technology ESYS Program Overview. 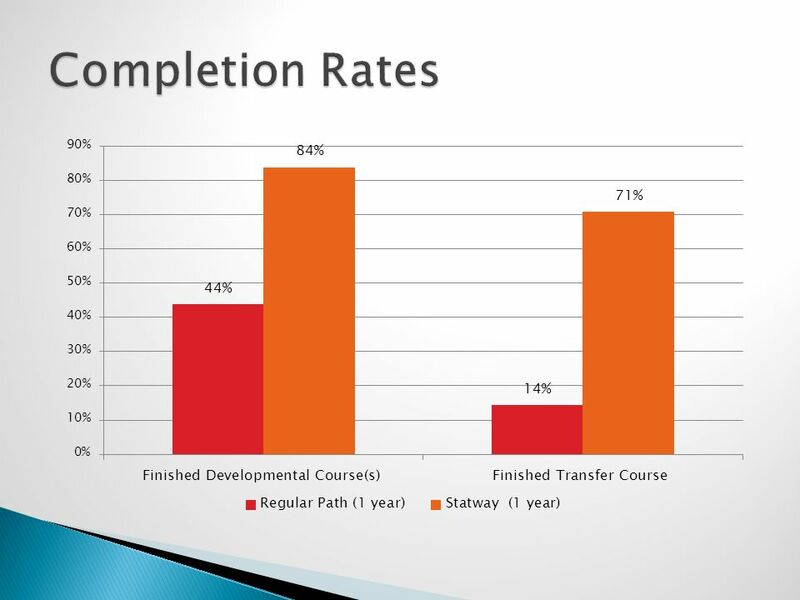 Tulsa Community College Benchmark Data. 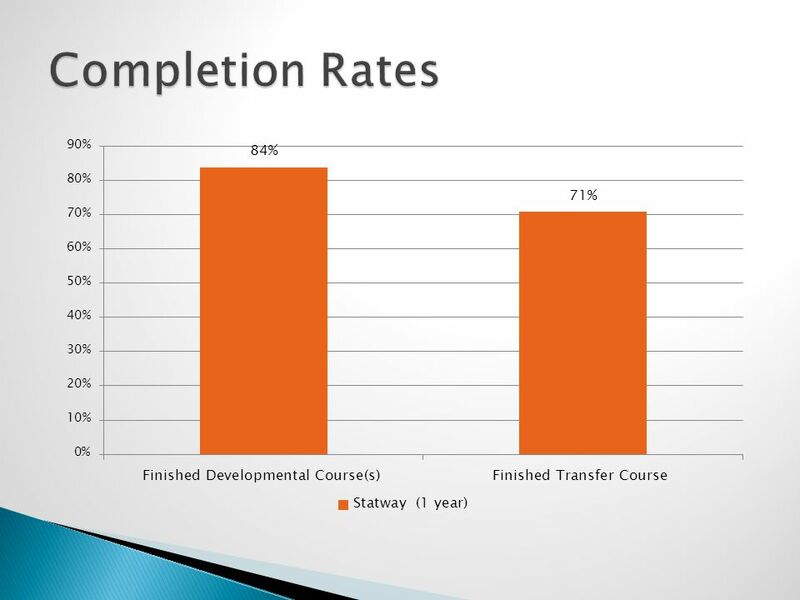 Table of Contents Student Cohort Profile Goal 1: Developmental courses Goal 2: Gatekeeper courses Goal 3: Complete. 1 Press Ctrl-A ©G Dear 2009 – Not to be sold/Free to use Z-scoreComparisons Stage 6 - Year 12 General Mathematics HSC. Welcome to Dassel-Cokato High School. 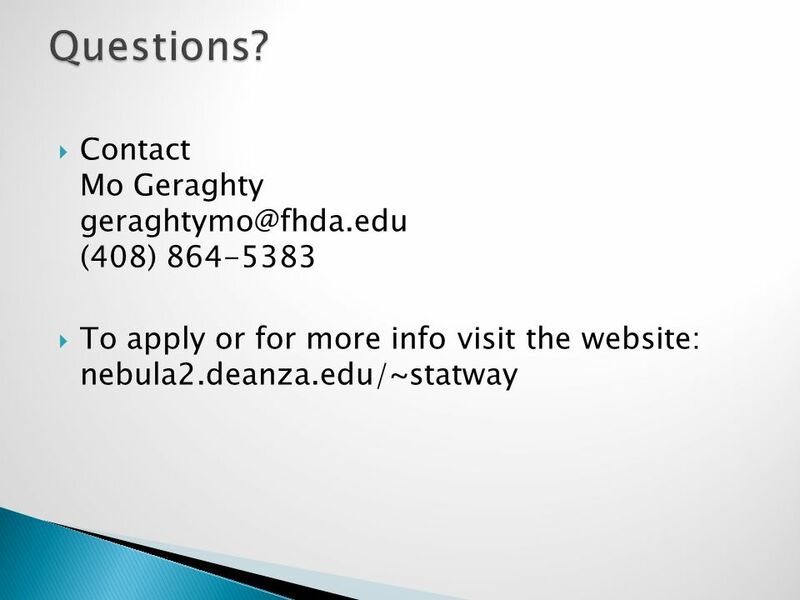 Agenda Graduation Requirements for Class of 2015 Graduation Requirements for Class of 2015 Registration Guide Registration. Eisenhower High School Class of 2014! 12 th GRADE GUIDANCE LESSON. Grade 10 in 2010 Grade 10 Test Books Contains – RLA – Math – Social Studies – Science Field Test Biology One of two 45 item tests Grade 10 in 2010 Grade. General Information School Hours:  7:55 AM to 2:15 PM Breakfast  7:45 AM to 7:55 AM Traffic Pattern  No cars / Busses only on “lower” Brown Street.